Recreation Agencies is sponsored by the Commission for Accreditation of Park and Recreation Agencies (CAPRA) in order to share with professionals' now and in the future' the desirable practices of the profession embodied in the National Accreditation Standards for park and recreation agencies. These standards are used as the guideline for what should be included in the book. Each chapter addresses specific standards needed for accreditation. 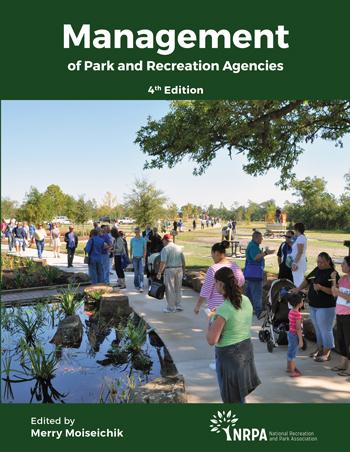 The purpose of the book is to help administrators of every area of parks and recreation, including those in for-profit, nonprofit, commercial, and public operations. The emphasis is on public park and recreation agencies because those are the agencies for which the standards were written. However, each standard can be used by any agency that provides park and recreation facilities, programs, or services. It is geared to managers and what they need to know, not to the program or maintenance supervisors.